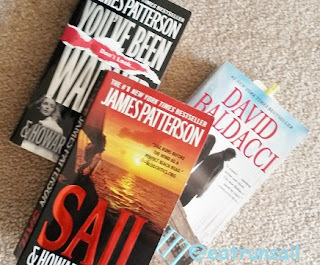 I have been so very active this past few weeks that I have barely had time to think about a blog post let alone actually sit down and write/publish one. But I am not ready to give it up just yet so thought I would just catch my breath, and catch YOU up, too. I have been keeping the promise I made to myself and getting into the fitness room in our building 3 mornings every week to do a strength session. Yes, I am concentrating on my core and my upper body in these sessions because I think the other activities I am enjoying are taking care of my legs. 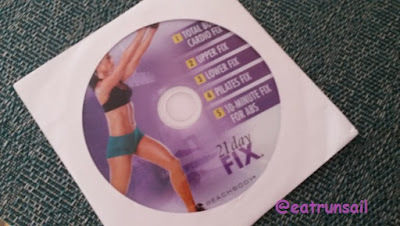 I am using a couple of my 21 Day Fix workouts... alternating between Upper Fix and Dirty 30... and really seeing good results in my core and my shoulders, especially. Don't you just love how weak and shaky your shoulders and arms feel for a while after a good hard workout? I have also been playing singles tennis with The Captain twice a week. This is not only great HIIT/cardio work but also reinforces the shoulder training. Wow! and it is fun. I love playing tennis. 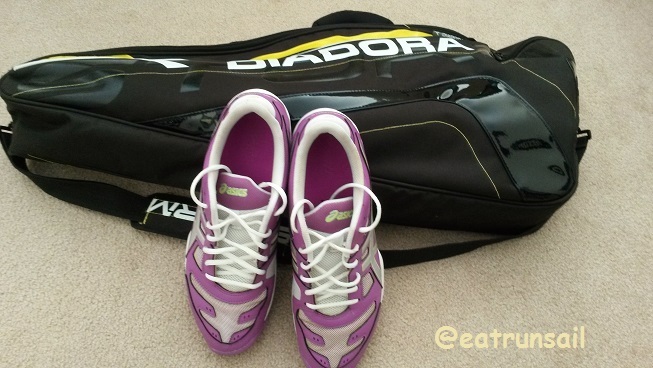 And I love my purty purple Asics tennis shoes, too. They are so comfortable. Running is taking a bit of a back seat right now. I seem to have slotted it into Sunday mornings and then taking the opportunity for a good stretch afterward. I really need to start adding yoga too and have just enrolled in a yoga challenge for runners so hope this will motivate me. And walking... oh yeah! I have been averaging about 12,000 steps per day on my FitBit for a while now. We are lucky to live in such a walkable, beautiful city. Even though we moved a bit further from the water in January, we can still be on a beach walking only 20 minutes in any of 3 different directions! Some people would think that my food plan is kind of complicated 'cause I follow a few different programs... but they compliment each other so well that is it easy for me and they all help me choose natural, whole foods and limit junk and processed frankenfoods. 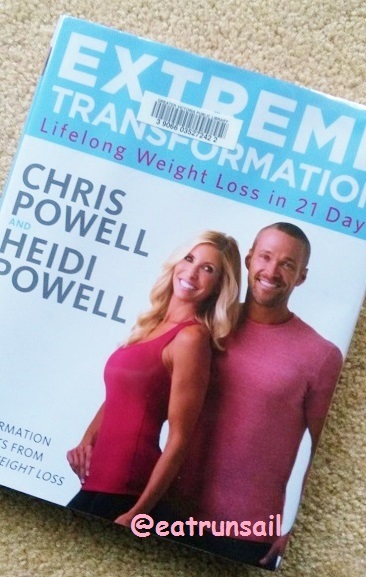 I am a Weight Watcher, and you know I am loving the Smart Points program that is part of the recently rolled-out Beyond the Scale platform. I find it really easy to live with because it steers us away from sugar and toward protein... it just naturally points me toward healthier choices. Along with that. I have also embraced the Cheat System Diet. It is a great program that promotes healthy EATS and limits less healthy CHEATS. It is so easy to understand and it fits my brain and my lifestyle. I am a volume veggie eater so this works for me. It focusses leafy greens and healthy fats. And you all know I carb cycle, too, a la Chris Powell. I naturally eat in a window that is about 11 hours long and don't snack in the evening. I am thinking about shrinking that to about 8 hours... we shall see. I lnow that lots of people workout and run in a fasted state but I have not had any great success with that myself. Sounds so complicated, all of this, but it works for me and is just easy. 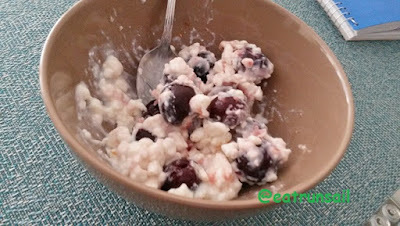 I have been in love with dark frozen cherries for some time now and cannot find enough ways to eat them (on my high carb days, of course!). This bowl has low fat cottage cheese mixed with a bit of NuNaturals cherry stevia and cinnamon. OMG. My fave! If you are counting Smart Points, it is only 2. And these goodies from Chosen Foods! 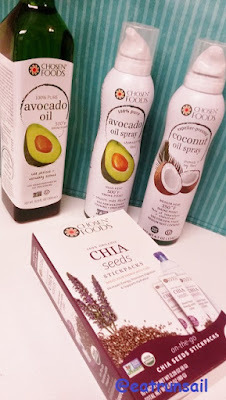 Avocado oil is a new love... chia seeds and coconut oil are long-time favorites. I am thrilled to learn that some Chosen Foods products are available in my local markets. Our own balcony gets wonderful morning sun but we are in the shade in the afternoon. There is a lovely rooftop lounge in our building with a large adjoining outdoor area that has been really nicely furnished with several bistro tables and chairs and also sun lounges. That's for me! Especially cause no one ever uses this area it seems. I have been reading a few chapters at a time and keeping the sunning to about 30 minutes. I love a bit of color on my arms and legs, but don't want to bake. I have been using coconut oil to brush my teeth for some time... usually mixed with a bit of baking soda. Recently I read that coconut oil pulling will, over time, actually remove plaque from the teeth, so I have been faithfully oil pulling again. If I can avoid the hygenist scraping my teeth, I am all for that. I think my teeth look shinier now after a full week of daily pullling than they did after the last time I had them cleaned and polished! They certainly feel smooth and shiny too. 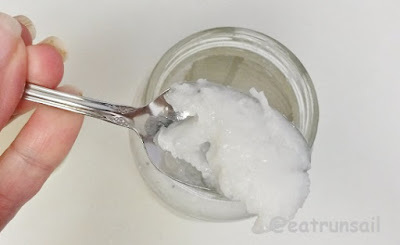 It only takes a spoonful of coconut oil and I usually pull it back and forth between my teeth for anywhere from 10 to 12 minutes while I am washing my face and doing my hair. After I am done pulling and have disposed of the oil, I brush with a commercial toothpaste and warm water. Here is a tip... don't dispose of the oil in your sink... it will clog up eventually! 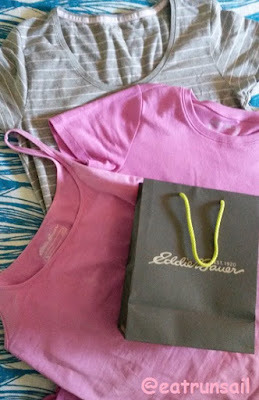 This is not normally my topic... but I have picked up a few new Eddie Bauer tees this Summer. They keep sending me $10 coupons in my email and I keep using them! How can I resist when they match my tennis shoes? I really think that Eddie Bauer makes the softest tees, but I honestly cannot imagine paying regular retail price for any of them. Wow! We will be celebrating Canada Day on Friday, July 1st. Lots of fireworks and fun things planned for the day and evening. What about you? What fun things have you been up to lately? Have you ever tried coconut oil pulling? You've got a lot of good stuff going on! I tried oil pulling once but just couldn't deal with it for 10 minutes. Perhaps I need to give it another shot. Happy Canada Day! All that info about oil pulling makes me want to try it. My teeth can use all the help they can get! Great job on being consistent! I like the weak and shaky feeling after a really good workout too, haha. :] And cherries! <3 Can't ever have enough of those--I wish they weren't so expensive though! Oil pulling sounds really interesting--I've heard of it before but haven't ever tried it--I may need to attempt that though! You've got some great things going on in your life right now! Your post made me realize I miss playing tennis - my husband and I used to go hit around the ball on the court but haven't been there in forever. I definitely need to make an effort to start up again. I am really trying to cut my evening snacking, and right now the idea of maximizing my "fasting" time is helping me with that. But, I leave for work at 7 am and don't get home until 7 pm or later, so I'm lucky to have an 11 hour "fast". Love the bright tennis shoes! Nice to catch up with you, it has been awhile! I wish I had my eating as regimented as you do, I think having a system is so helpful! I tried oil pulling a couple of times and I definitely felt like my mouth was a lot cleaner, lol! I may need to look into trying it again. Sounds like you've been quite busy. And I love you focus for your fitness goals. I can't wait to see pics from the wedding. You have been doing great sticking to a healthy plan. Love to see this! You definitely have been keeping busy. I'll be enjoying fireworks by the lake tomorrow and I can't wait. Happy Canada Day!! Looks like you have been busy, in a good way! Keep up all the great work you are doing, it sounds like you are pretty balance!